We've all heard the expression "drive it until the wheels fall off." 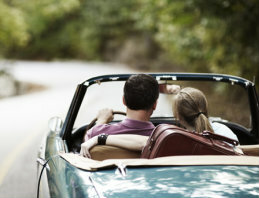 With the competitive rates and customization of a Peoples National Bank auto loan, there's no need to test that theory. We'll work closely with you to secure financing that works uniquely for you long before that becomes a necessary outcome. Before you even step foot in a dealership, be sure to stop by a PNB branch first. We offer quick and easy auto loan pre-approvals, offering you that much extra bargaining power upon negotiation.